Entrepreneur Ivanka Trump was by her father’s side on Sunday night on 60 Minutes as the president-elect explained how he plans to torment women seeking abortions. You may not have been able to keep your mind on what he was saying because of a certain shiny trinket glinting on Ivanka’s slim, patrician wrist. The sales gimmick might have backfired, though. Recipients of the style alert seemed, well, alerted, but not in the way Brand Trump might have hoped. They quickly re-tweeted the promo. 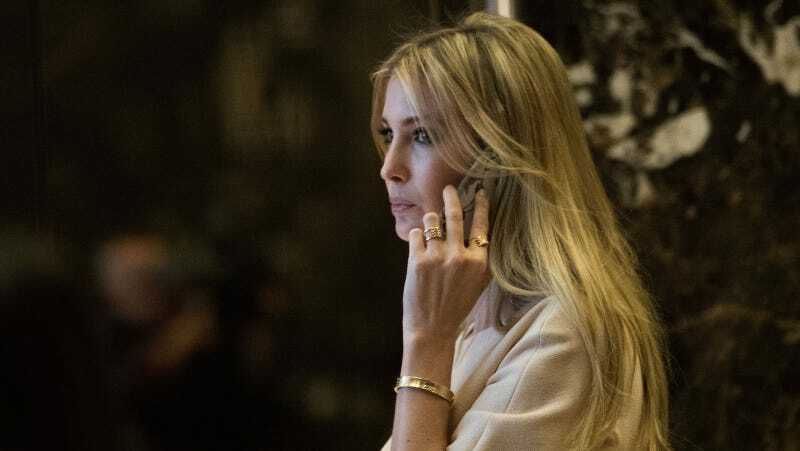 By this evening, the plug had become a talking point on a CNN panel discussion about Donald Trump’s desire to get top-secret clearance for his business-handling kids. No word yet on how her father’s post-election adjustments to his business are going.